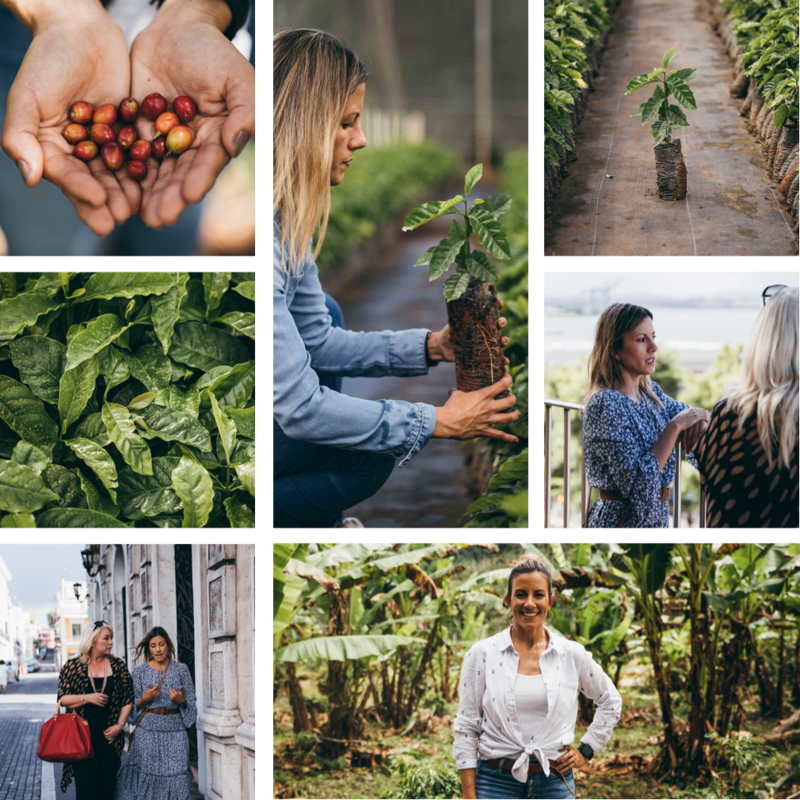 Puerto Rico is one of only two locations in the United States where coffee can grow. Additionally, it's the most valuable crop produced on the island. 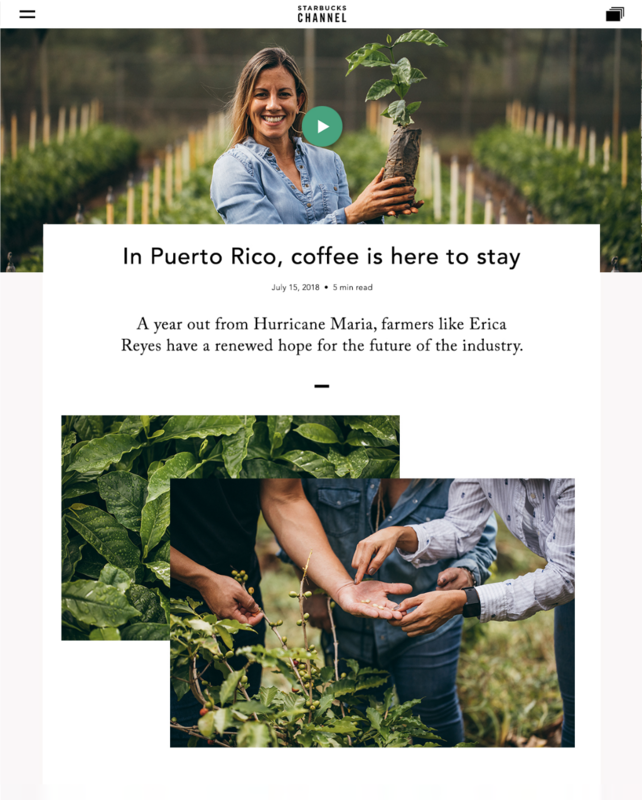 After the devastation of Hurricane Maria, the coffee crop was nearly wiped out, leaving entire livelihoods in the balance. 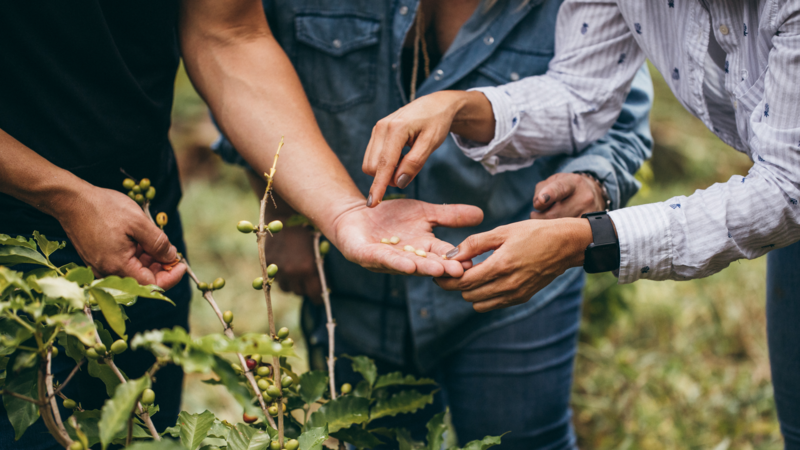 Starbucks quickly stepped in to resupply the island with 2,000,000 climate-resilient coffee seeds. 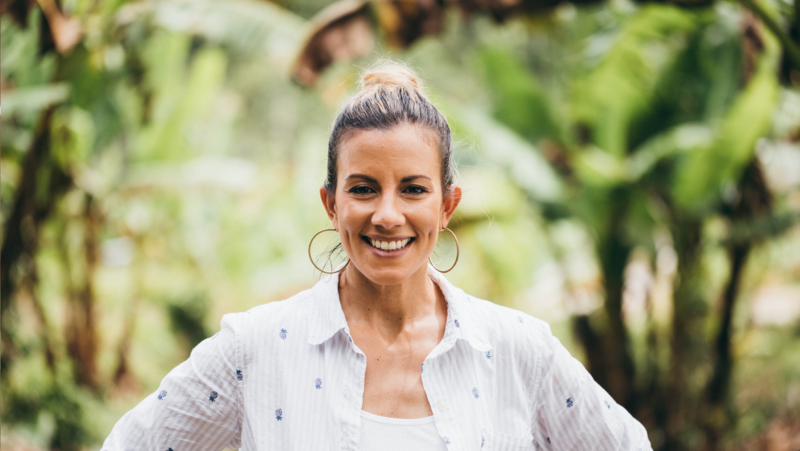 On the one year anniversary, we traveled to the island to capture the impact of their efforts. 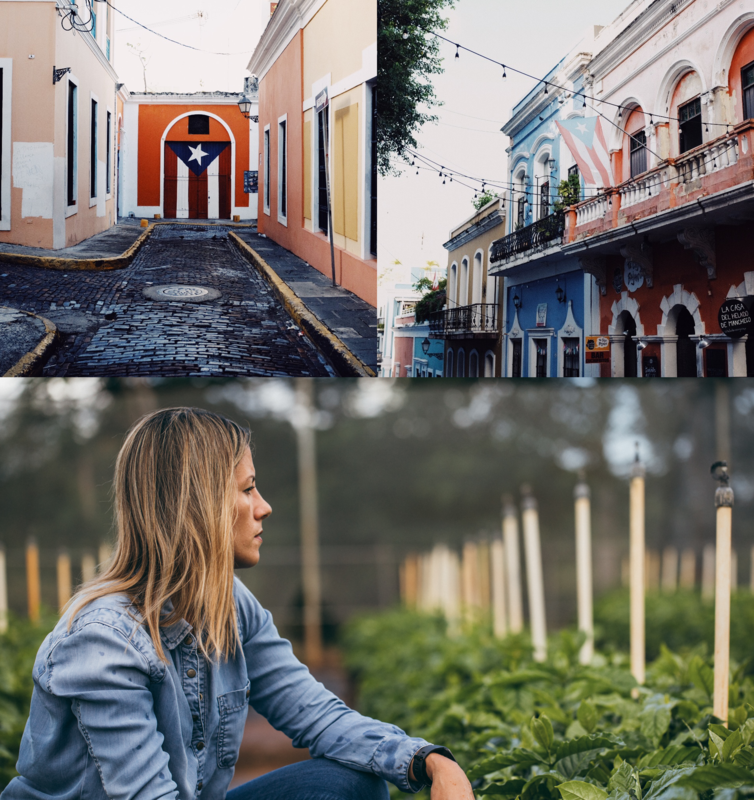 To contextualize the immense impact of the program, we selected a handful of success stories to guide users through the struggle, the perseverance, and the eventual triumph over one of the worst hurricanes to ever hit the island. 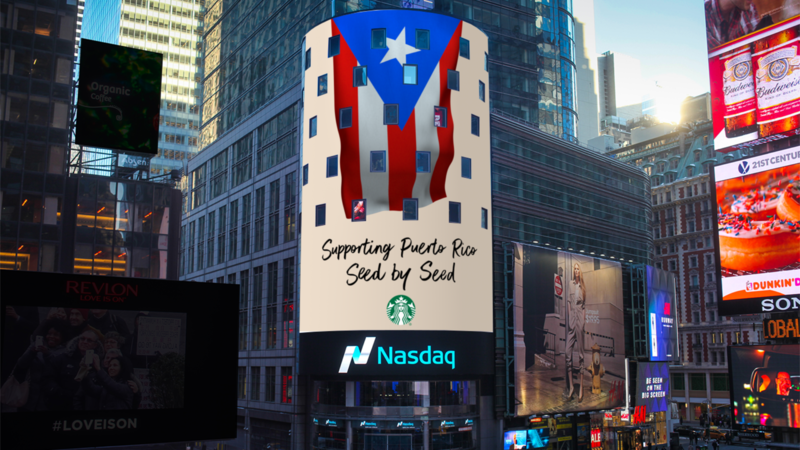 Through the lens of our subjects, we developed channel-specific stories to give Starbucks' audience an honest, sometimes uncomfortable look at the devastation that befell the island, but then carried users through the rebuilding process that culminated in uplifting stories of success. 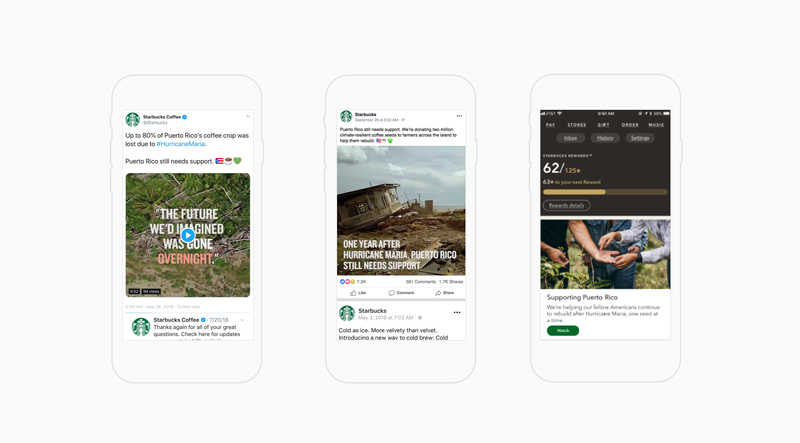 Most social impact content is sappy, unclear, unspecific, and strikingly similar from brand to brand. To truly break through on cluttered feeds, we needed to show the details of the devastation and the emotional and physical toll rebuilding takes. 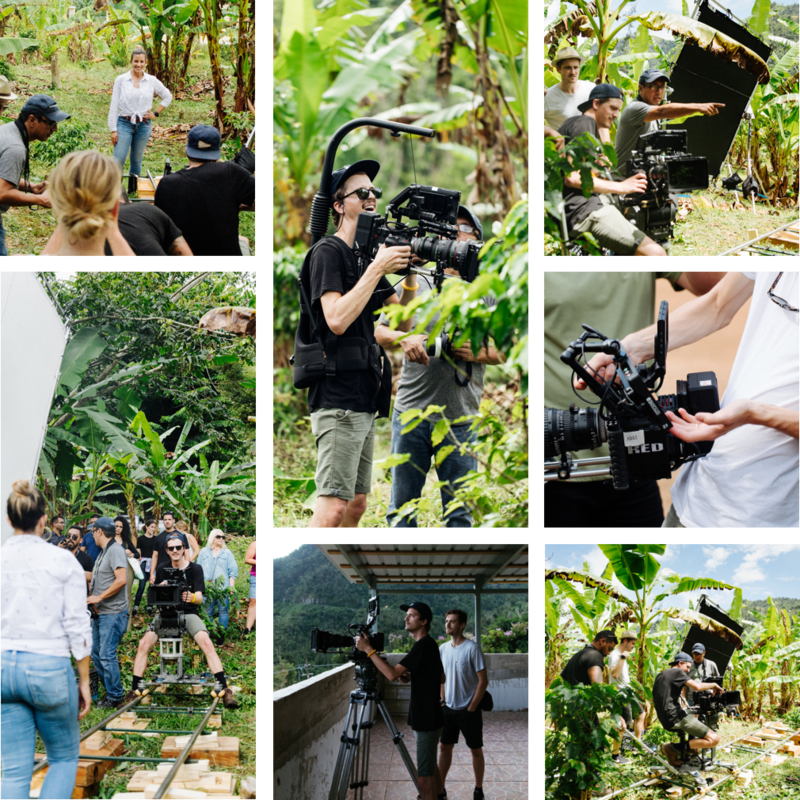 Our production team traveled to Puerto Rico to spend time with our subjects and capture a moment in time. The devastation was still plain to see in the buildings, the crops, and the faces of the people we encountered. 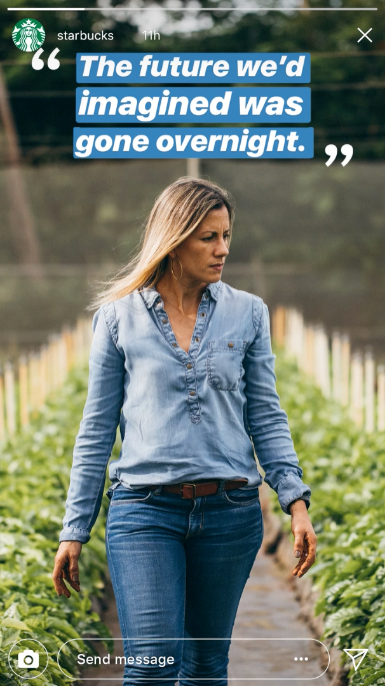 But so was the resilience and gratitude of our subjects to not just have Starbucks step in and jump-start a decimated economy, but tell these intimate stories of farmers brought back from the brink.